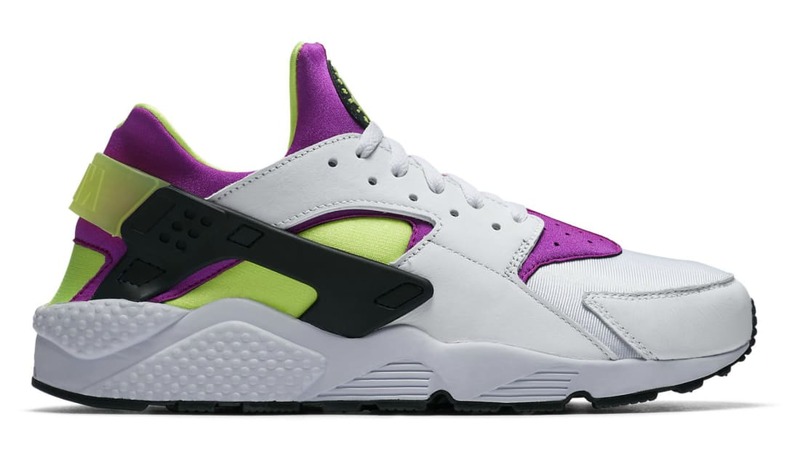 Nike Nike Air Huarache "Magenta"
The Nike Air Huarache will revisit the OG "Magenta" colorway in 2018 with hits of neon yellow and magenta on the neoprene uppers. More details include a redesign in shape reminiscent to the original run in 1991. Release date is June 8, 2018 at a retail price of $130.